Injection valves are mounted at the point of injection to connect the metering line. They protect against backflow and generate a defined back pressure. They are equipped with a check ball and a Hastelloy C spring (priming pressure approx. 0.5 bar). They may be fitted in any position. Materials used as in the pump liquid ends. 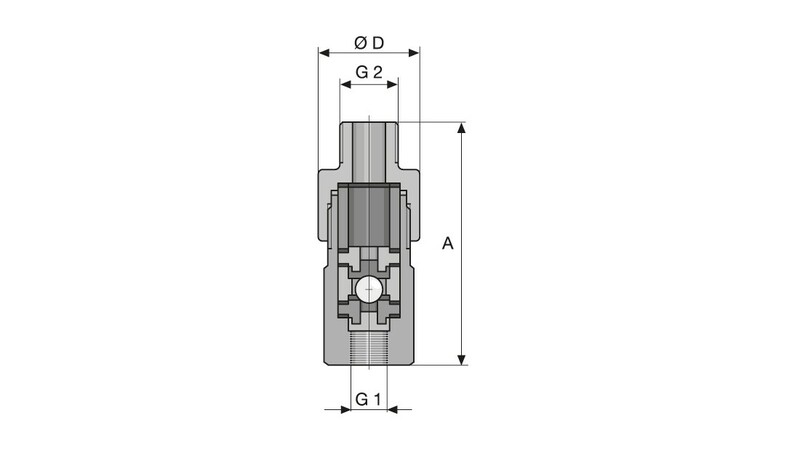 Injection valve sizes DN 10 and 15 are supplied with union nuts and inserts / hose nozzles. Important: Injection valves are not absolutely leak-tight shut-off devices! Used as a non-return valve – in closed pipe systems to prevent mixing and backflow into the metering line. Used as a back pressure generator – in systems with a free outlet, to generate a defined back pressure. PTFE housing and seals with spring-loaded ball check (ceramic, glass DN 25), priming pressure approx. 0.5 bar. 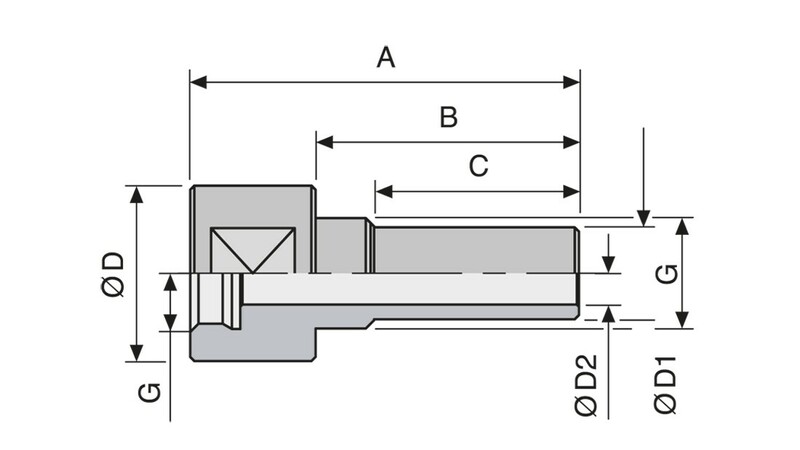 PP housing, EPDM seals with spring-loaded ball check (glass), priming pressure approx. 0.5 bar. Housing made of stainless steel, PTFE + 25% carbon ball seat, PTFE seals non-return sphere (stainless steel material no. 1.4571 / stainless steel no. 1.4581) spring-loaded, priming pressure approx. 0.5 bar. To fit metering pumps of the product ranges Sigma, Meta and Makro TZ-HK. Housing and valve spring made of stainless steel no. 1.4571, ball made of stainless steel no. 1.4401, PTFE seals, priming pressure approx. 0.1 bar. PVC housing, FKM seals with spring-loaded ball check (glass), priming pressure approx. 0.5 bar. PVDF housing, PTFE + 25% carbon ball seat, PTFE seals, with spring-loaded ball check (ceramic DN 10 - 20, glass DN 25 - 40), priming pressure approx. 0.5 bar. 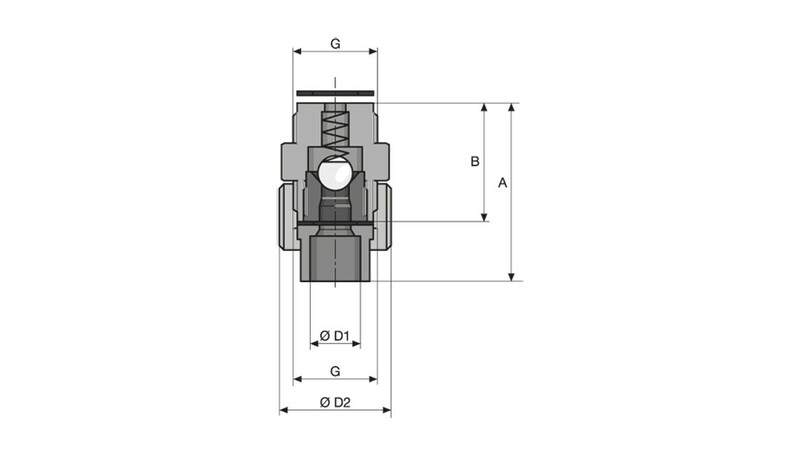 For the installation of injection valves into pipework with straight unions. The adapter projects into the pipework or storage tanks and can be adjusted (shortened) at different cross-sections. 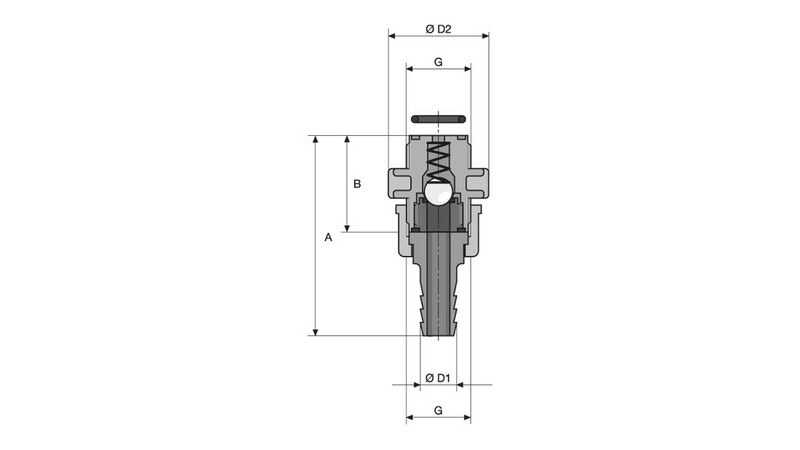 Direct contact of the chemical to be metered with the wall can be avoided by installation of the adapter. Metering into the centre of the pipework improves, among other things, the mixing through of the metering solution. * In set with 1 x FKM and 1 x EPDM O-ring. Housing made of stainless steel, PVDF ball seat, PTFE seals with non-return sphere (stainless steel material no. 1.4571 / stainless steel no. 1.4581) spring-loaded, priming pressure approx. 0.5 bar. PVDF housing, PTFE seals, with spring-loaded ball check (ceramic), priming pressure approx. 0.5 bar.